Take a look at your business cards, website ‘about’ section or LinkedIn profile. If what you see doesn’t say ‘you want to work with me’, then I’d say you’re long overdue. With a few exceptions, businesses and products rarely sell themselves. It’s the people like you that make those sales happen. Your potential clients may have a need that your business can fill but it’s the person they’re dealing with that makes the difference, and those clients make the decision to work with someone when they see confidence and an agreeable personality. What they see there tells them a lot about who you are and what they can expect. If they see a selfie, snapshot or poorly made headshot, that can reflect on the kind of service they’ll receive or the quality of the product you’re offering. After all, if your headshot doesn’t convey the right message, why would they trust you with their business? So, how do you make those first few seconds count? Hire an accredited photographer. Hire someone you can trust. That’s a big word… “trust”. There are hundreds of “photographer” shingles hanging out there but to whom do you go when you need the job done right the first time? Accredited photographers have had their work appraised by a panel of established, working industry experts who are ultimately asked to answer one key question: “would you trust this photographer to produce professional results?” As such, you the client, don’t need to stress yourself sifting through the swamp of maybe-they-can-get-the-job-dones. You can walk into your session confident that the results are exactly what you’re looking for and your money is being wisely invested. 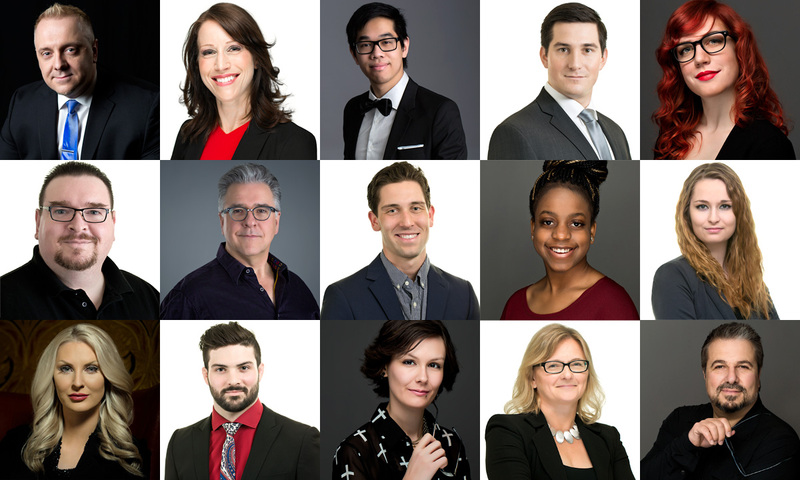 Until March 20, 2018 – the first day of spring – I’m offering a bonus when you update your headshot: book your session ($199 +hst) and receive a second finished headshot absolutely free. That gives you two headshots to use throughout the year to keep things fresh. You have literally every reason to update your headshot and, with this deal, absolutely no excuse not to. Give me a call at 519-619-3237 or send me an email, and freshen-up your headshot today. You won’t regret it and neither will your business. Don’t forget to ask about group and corporate rates, too! This entry was posted in Business, Photography and tagged Business, Cards, Executive Portraits, Facebook, LinkedIn, Photographer, Photography, Twitter, accredited, appearance, corporate, fresh, headshots, professional development, profile, refresh, strong impression, trust, update.